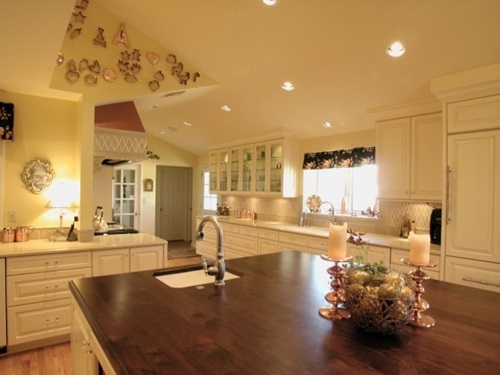 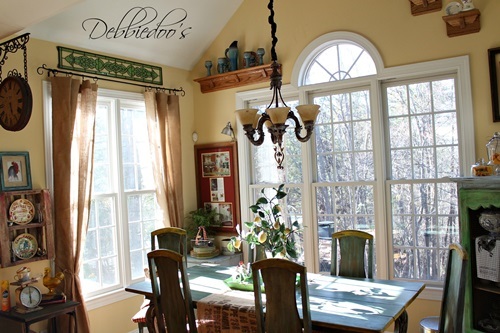 The country style home will be warm and welcoming so that you and your guests will be relaxed in such a home. 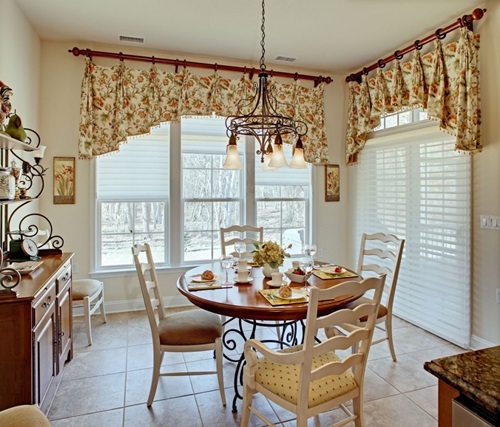 The curtains used in this home will help you set the attitude and mood of every room according to their activities and nature. 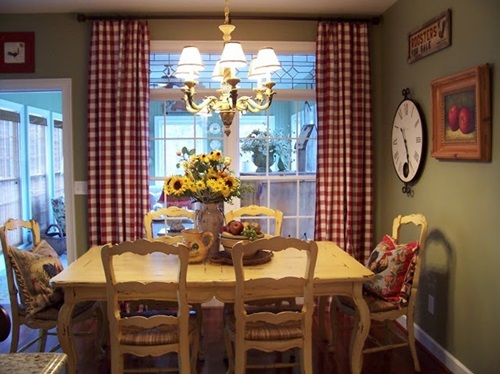 This article will provide you several outlines about these curtains to help you incorporate them into your home design. 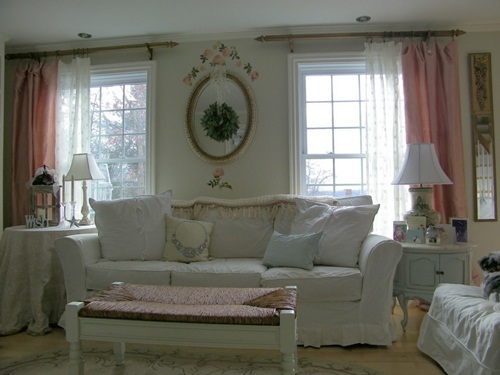 The white country style curtain will match any color used in your home. 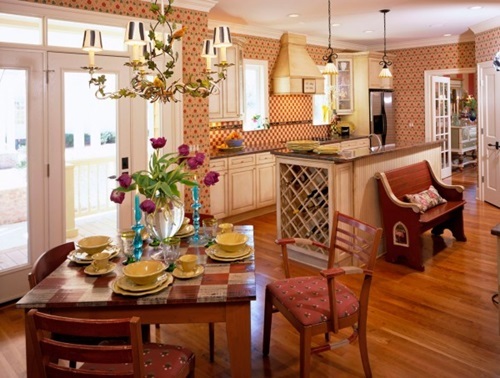 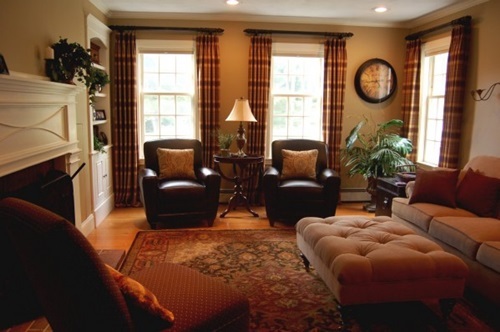 For a more country style look, try to find curtains with subdued and muted colors. 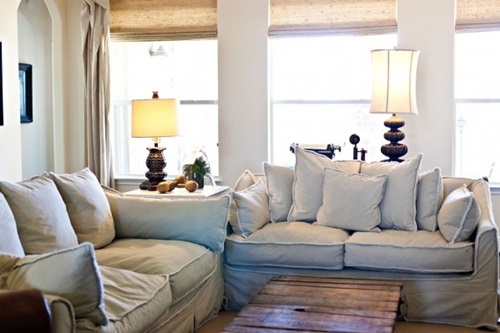 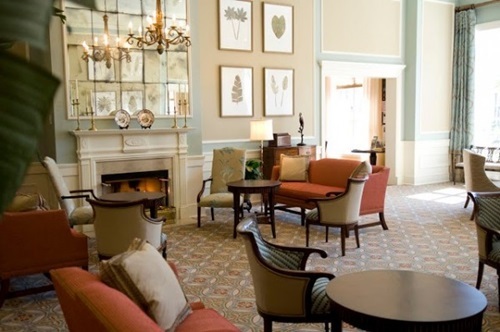 Choosing the right fabrics will depend on the amount of light you need in every room. 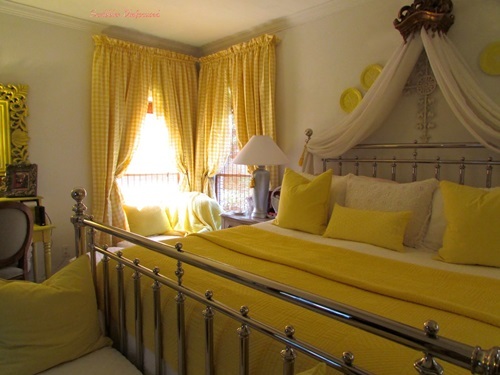 The room that will need plenty of natural light will be perfect with the lacy or sheer curtains while the country styled insulated or woven curtains will block out the natural light to provide you a sense of privacy and relaxing mood. 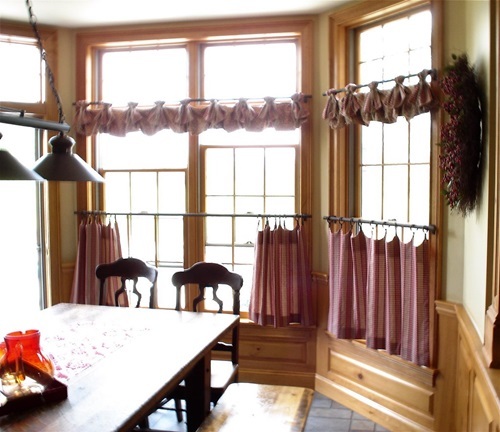 However, most of the country styled homes use valances with shades to let a space for the fresh air to penetrate and stir the natural feeling into the place during the day. 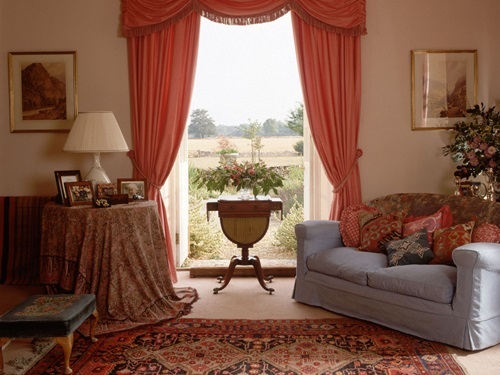 The floral printed or stripped fabrics will create a sense of balance into your home, while the country style linens will give it an organized look. 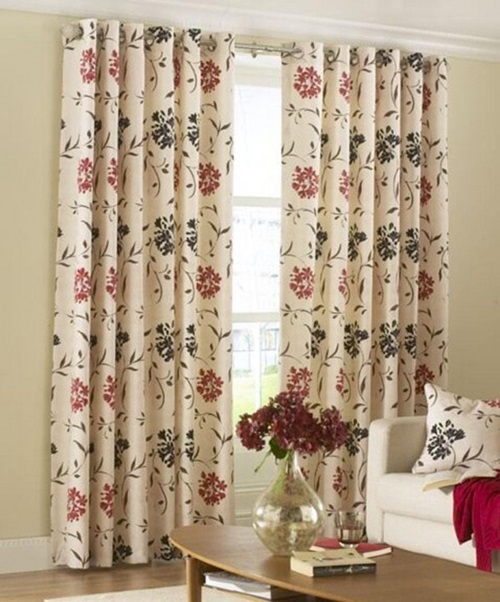 Besides, the insulated and layered curtains will increase the functionality of the place.These curtains are available for different seasons to give you the perfect atmosphere inside your home saving your air conditioning energy. 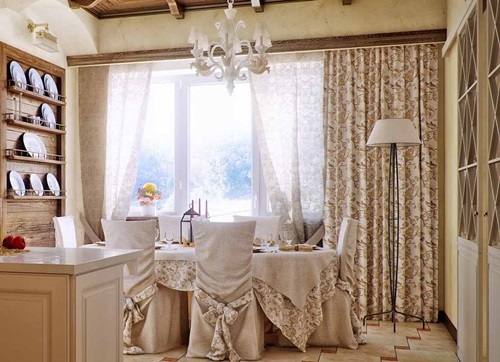 During the spring, you can use a light colored curtain such as crisp white or butter yellow, while the winter will need heavy insulating panels. 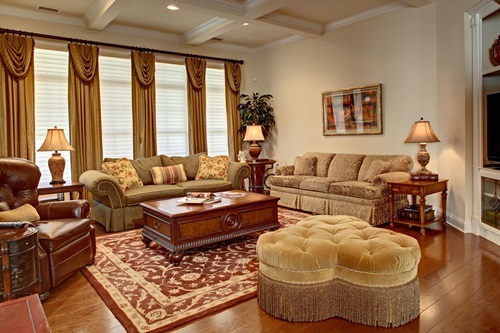 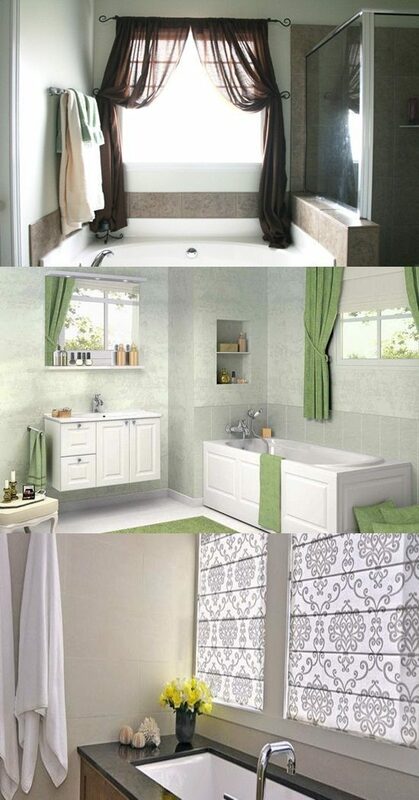 The country style accessories will be your nice personal touch to the place. 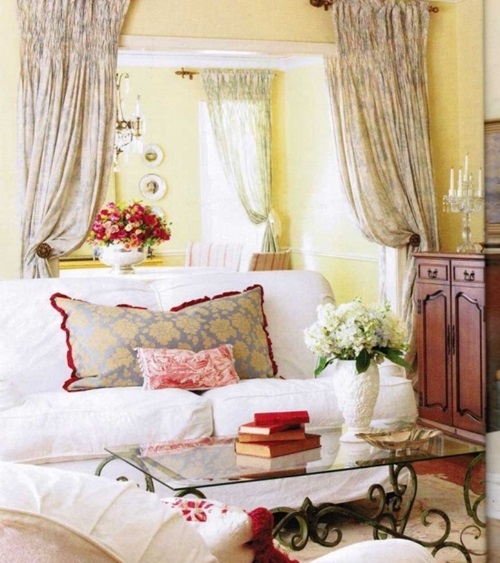 The embroidered rods and animal shaped tie backs in addition to embellished hardware from both sides to hold the additional length of the curtain will perfectly decorate your room in a charming way.